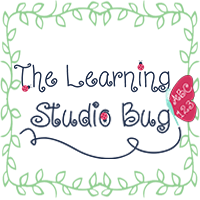 The Learning Studio Bug: To Heroes & Super Seconds!! To Heroes & Super Seconds!! Is it just me, or has this entire last year just breezed by so quickly that we just barely blinked our eyes?? And yet, so much has transpired throughout 2013! I have been so caught up in all of it! This past month, I bid farewell to my Super Second Graders as their Mrs. Lowenthal returns in the new year from maternity leave and I to my kindergarten class. I'm ultra proud of "my" Super Seconds! :) They've really worked hard, learned tons and grown right before my eyes. Their determination and undying efforts had proven them to become such creative writers, focused mathematicians, thoughtful readers and serious investigative scientists in our classroom. They are whole heartedly an amazing group of kids! Speaking of amazing!!! I am blown away by so many of my educator colleagues in the blogging world!! I have to admit, that as busy as I have been these past couple of months, I approached my own daily~work burn~out limit which is why my blog here had to take a back seat. 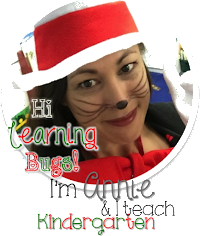 There are several favorite educator bloggers who I follow such as the delightful Sarah Cooley, the amazing Cara Carroll and the inspiring Deanna Jump to name a few. I am constantly amazed by all that they do!! I love these ladies and I don't even know them!! Because they inspire so many great ideas and make our job even more special in all they do and I am empowered to strive to do my very best. They're my heroes!!! So, In Honor of My Heroes and My Super Seconds, Cheers to 2013!!! !